If you don’t follow me on Twitter, you may not realize that I’ve been bitten by the Instagram bug. Follow me if you like, @morepizza. 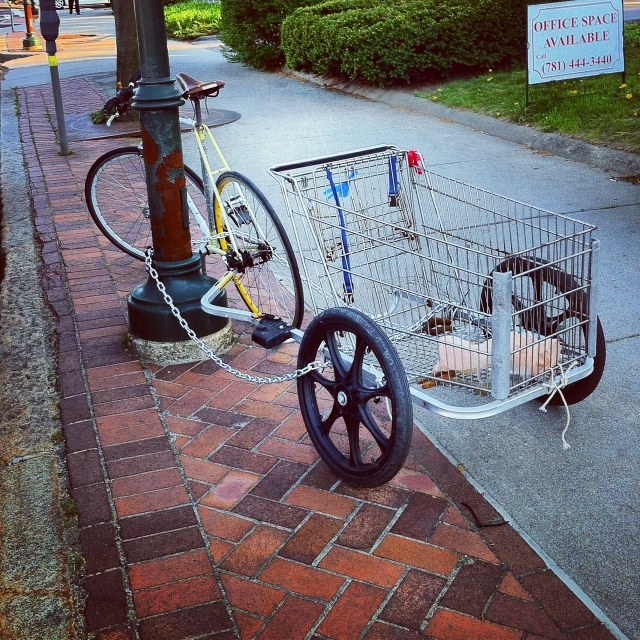 As for the above picture, I’ve always wanted to modify a shopping cart into a bike trailer. This guy beat me to it, but I’m pretty sure I would have gone with the jumbo sized Home Depot cart.